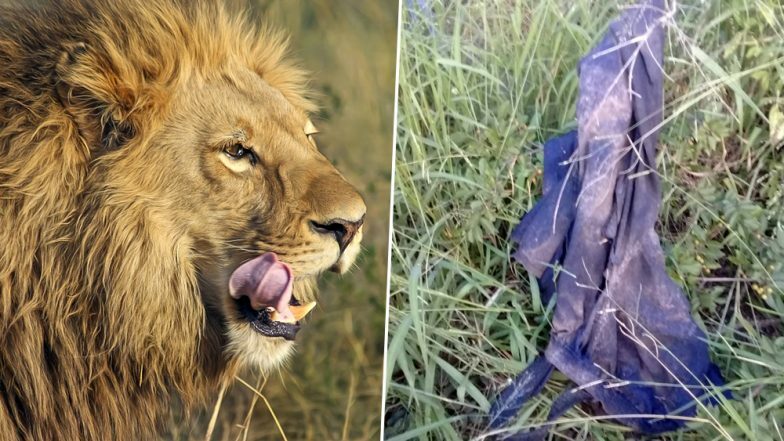 Skull, Torn Pants of South African Rhino Poacher Eaten by Lions Found Among The Only Remains, View Pics! Hunting endangered animals is prohibited and is considered a downright unethical thing to do. But mother nature turned tables on a poacher in South Africa's Kruger National Park. A group of five poachers had entered Kruger to hunt the rhinos and one of them was found in the captivity of the wild and killed. The poacher was trampled upon by elephants and devoured by a pride of lions. His skull was found by park rangers later. Rhino Poacher Gets Killed by Elephant, Body Eaten by Lions in South Africa's Kruger National Park. The victim was crushed by elephants as he tried to poach rhino. The others ran away from the site and one of them informed the park's ranger service to launch a search operation for their friend. Some relatives of the victim also contacted them to look for him who had been stranded in the park among the wild animals. The park rangers then searched for the body in an aircraft but were not able to find it until Thursday. They arrested the other alleged poachers and found out more about their location. Two of them were arrested and the ammunition was also seized. The rangers found the victim's shredded trousers and his skull in the park later. Kruger National Park: Suspected Poacher in South Africa Was Killed By A Pride of Lions. The victim's identity has not been revealed and it took a few days to find his body. According to a report in Don English, the man's body was found near the Crocodile Bridge section of the park. The managing executive of the Kruger reserve said, "Entering Kruger National Park illegally and on foot is not wise, it holds many dangers and this incident is evidence of that." This incidence of justice by nature has been celebrated as a feel-good story by people on social media.